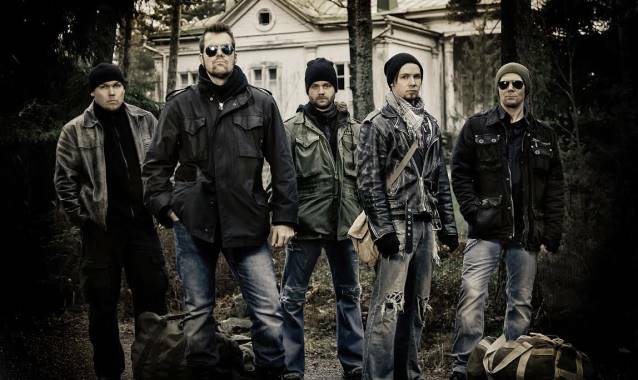 Finnish metallers ADAMANTRA will release their as-yet-untitled sophomore album in May. The band's original vocalist, Tuomas Nieminen, has reclaimed the position, returning to the band from a three-year absence (2011-2013). A teaser of for the forthcoming CD can be viewed below. Comments Nieminen: "The band is excited to get the work of many years out to the public and to the world. "The uncompromising way of doing things shows on the album; nowhere in the production has there been any skimping going on and the production has been carried out in the top places of the industry. "We hope that the fans will find what we have found again together!" ADAMANTRA's debut album, "Revival", was released in 2009 and received considerable acclaim from the progressive metal audience and critics alike.